Simplicity interviews two winners from last year’s Global Recruiter Awards. The recruitment sector has seen a remarkable change over the last few years. As employer confidence continues to grow so too do the number of new entrants into the market each year. Indeed, figures made available by Companies House at the start of the year revealed that almost 4,100 new recruitment companies set up shop in 2014. With this came news that a record number of people were choosing a career in recruitment, with over 30,000 people joining the top 100 recruitment firms in the UK alone during the same period. As the year went on there was more good news. A study by Deloitte and APSCo reported that 83 per cent of recruiters have seen their net fee income grow over the past 12 months. Despite a slight slowdown over the last quarter, the fact remains that the industry is continuing nicely along its upwards trajectory and its status as reporting record growth is not in any danger of losing ground anytime soon. But whilst an improved economy can take the lions share of the plaudits, much of the credit must also go to the very people driving this growth – the recruitment consultants themselves. The Global Recruiter Awards take place each summer and Simplicity partnered with the publication to sponsor the two awards that we see as being pivotal to the success of the industry – Best Temporary Consultant and the Best Permanent Consultant Awards. Following the awards, Simplicity interviewed the two winners. Recruiters are by their very nature competitive individuals, and these two winners are no exception. But what is it that makes them great recruiters? That’s precisely what we sought to find out. A winning culture has a direct impact on the performance of every agency and it is the only way in which a recruitment business can maintain its lead over a competition that’s seemingly increasing at a rate of knots. Through these interviews Simplicity wanted to get a better understanding of what made the two winners the success story they have each become. What follows are the two interviews that reveal the secrets to the success of this years’ best recruitment consultants. Q: How did you get into recruitment? A: Before recruitment, I worked in marketing and advertising in the home improvement sector. After the recession my industry took a downfall and salaries dropped. I sort of stumbled into recruitment – I spoke to the MD and he sold me the dream! Q: You joined Roc Search in 2010, and moved up the ranks pretty swiftly to become key accounts business manager. How did you progress so quickly? A: Our MD is very ambitious, especially regarding his long-term goals for the company. His drive inspires everyone on the team to work their hardest. I feel like I’ve grown with the company – Roc Search provides training to develop their staff and that really helped, plus I’ve always strived to be number one! After all, recruitment is a competitive industry. We’ve turned it into a bit of friendly competition within the company. We have league tables with our ‘Roc stars of the month’ and everyone is trying to work their way up the chart, which is spurred on by the huge screen we have displaying everyone’s sales! Q: What would you say are the key traits a recruiter needs? A: Resilience, drive, lateral thinking and a competitive nature. Q: You hit all your targets after your first six months – what’s your advice for replicating that success? A: Networking is key. Once you break into a client, don’t assume there is only one recruitment manager there. I think that’s the problem with a lot of recruiters, they just stick to the one or only find one placement per client. I think that’s been a huge part of my success – I wouldn’t do one placement, I’d do five or six. Recruitment is a numbers game. Q: Is it important to specialise in a particular field? A: I don’t think there’s any point in being a jack-of-all-trades, master of none. A big part of my success was down to the fact that I specialised in a specific region. You need to ensure that you have a deep understanding of what you’re discussing with the client. Understand what the client is looking for – scrutinise the details and narrow it down to exactly what they want. If you recruit for anything and everything, it’s hard to be that specific – you won’t have the specialism and knowledge that comes with understanding something inside out. Cater to the client’s exact needs and you’ll go far. Q: What does winning this award mean for you and your career? A: It’s an amazing point of my career – I’m getting recognised by my peers and the industry as a whole. Q: What role do you think that you specifically had in the success and growth of RocSearch? A: I would say that I have been principal to the success of some teams. I am now managing one of the fastest growing teams – we achieved £600,000 of business in our first year and our second year target is £1.2 million. The team has grown quickly, and we’re already looking to double our headcount in the next six months. Q: If you could give one piece of advice to recruiters, what would it be? A: I stumbled into it – it was nothing to do with what I graduated in but I got a call from a rep and was interested by the potential earning options. Q: Progressing from a resource analyst to senior business development manager in less than a year is pretty impressive! How did you climb the ladder so quickly? A: I started at the bottom and worked my way up. I became a consultant and did okay and then after two months a role came up in business development so I went for it and got the job. I found my niche and have progressed to more senior positions. Q: You’re one of only a handful of recruiters to achieve over £1 million in billings – what advice would you give to recruiters trying to better their billings? A: The best advice I can give is to speak to people like humans. Too many recruiters focus on the end result and targets and end up sounding like robots, which is off-putting. Speaking to candidates and clients is like any other conversation with anyone else – so make sure you treat them like that and be sure to listen to what they have to say. This will help you to find them exactly what they want. Q: What are the benefits of specialising in a particular field? A: I do think that it is important to specialise. Within recruitment, different areas need different skills – we have a team that’s purely focused on sourcing candidates which requires different skills to business development. You need to find your niche. Q: What do you need to get ahead in this industry? What would you say are the top three traits a recruiter needs? A: Resilience, hard work and commitment. The top billers are always in the earliest and out the latest. But at the same time, it’s important that you switch off when you leave work. Enjoy your weekends and time off – you need that time to relax so you can always remain focused in work. A: I didn’t know about the awards, our director nominated me! I knew that my billings were high but always thought someone else’s may have been higher so did not have any idea that I’d win. Winning the award is great for me and the company – I’ve been getting a lot of calls since! Q: What are your goals for the next coming year? A: I’d love to help the company expand into new markets and geographies. A: Recruitment is a very competitive industry. It’s not easy to separate yourself from everyone else, but it pays to make yourself stand out. 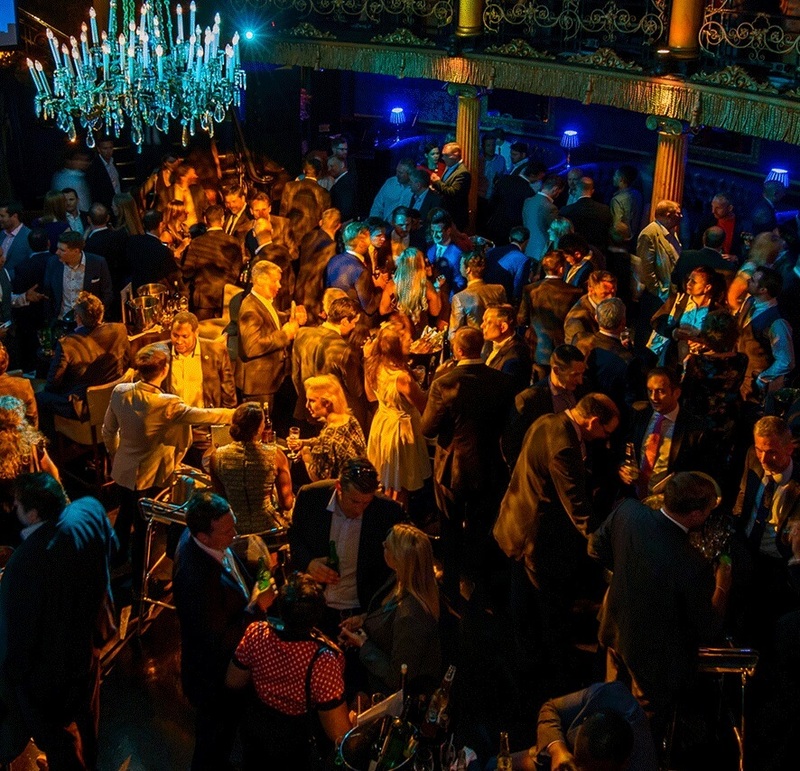 The Global Recruiter Awards 2016 will open for entrants on 4th January 2016.